The 18-hole Chase Hammond Golf Course in Muskegon, MI is a public golf course that opened in 1969. Designed by Mark DeVries, Chase Hammond Golf Course measures 6393 yards from the longest tees and has a slope rating of 130 and a 71. The 9-hole Eagle Island Golf Club in Muskegon, MI is a public golf course that opened in 1996. Designed by Bruce Anderson, Eagle Island Golf Club measures 2901 yards from the longest tees. The course features 3 sets of tees for different skill levels. The 18-hole Fruitport Country Club in Muskegon, MI is a public golf course that opened in 1972. 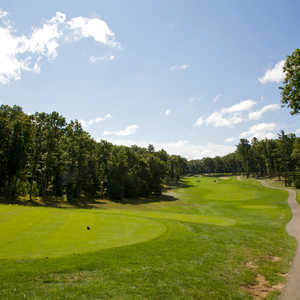 Designed by Dennis & Davis Snider, Fruitport Country Club measures 5689 yards from the longest tees. The 18-hole Lincoln Golf Club in Muskegon, MI is a semi-private golf course that opened in 1927. Lincoln Golf Club measures 6052 yards from the longest tees. The course features 3 sets of tees for different skill levels. The 18-hole Muskegon Country Club in Muskegon, MI is a private golf course that opened in 1908. Designed by Donald Ross, Muskegon Country Club measures 6697 yards from the longest tees and has a slope rating of 139 and a 73 USGA rating. The course features 5 sets of tees for different skill levels. 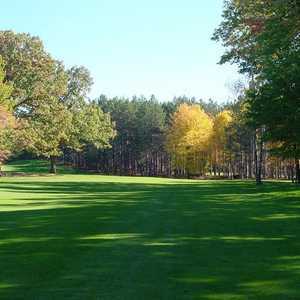 The 18-hole Oak Ridge Golf Club in Muskegon, MI is a semi-private golf course that opened in 1950. Oak Ridge Golf Club measures 6010 yards from the longest tees and has a slope rating of 123 and a 69.1 USGA rating. The course features 2 sets of tees for different skill levels. The 9-hole University Park Golf Club in Muskegon, MI is a public golf course. University Park Golf Club measures 3078 yards from the longest tees. The course features 3 sets of tees for different skill levels.